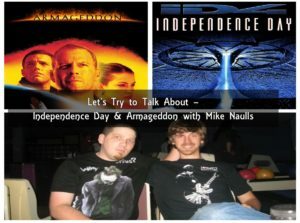 On today’s episode of One Cross Radio, we are joined by my friend and yours Mike Naulls, and we are looking at two great pieces of popcorn cinema – Independence Day and Armageddon. We also touch on what went wrong with Independence Day 2, old theatres in Toronto, the tragic events that happened in Toronto last week and more. Praise God, ISIS involvement in last weeks events has been ruled out. Also, next monday is a holiday in Canada – so we’ll be taking it off. But, we’ll be back on monday the 13th! 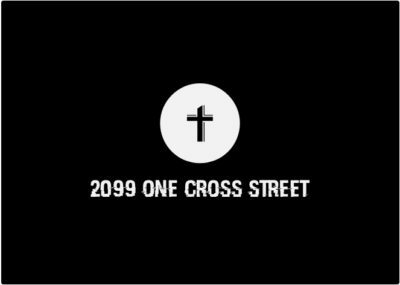 And finally, be sure to check out our Redbubble store for some sweet merch, and as always please like, share, comment, and if you’re listening in iTunes – leave a review:)! What did you think of Independence Day and Armageddon? Did you like Independence Day 2 more than we did? Let us know in the comments!